European shares opened higher on Tuesday as investors cheered signs of a compromise in the standoff over the U.S. government funding and positive signals around U.S.-China trade talks, while Michelin's results pumped up tyre stocks. 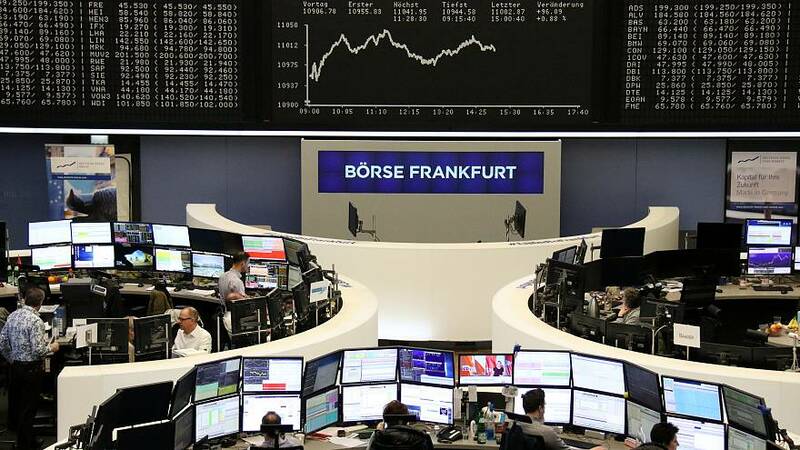 The pan-European STOXX 600 was up 0.6 percent at 0841 GMT, with Germany's trade-sensitive DAX up 1.2 percent and Paris' CAC 40 up 0.7 percent. Automakers and their suppliers were the biggest gainers, up 2.2 percent after Michelin delivered better-than-expected results and pledged further gains in operating profit this year despite challenging conditions. The French tyre maker's shares rallied more than 10 percent and were on track for their best day in nearly a decade. Italy's Pirelli and Germany's Continental topped the leader board in their domestic markets and were among the biggest gainers on the STOXX 600. In a sign of the high expectations for luxury brand earnings following solid numbers from the sector, including LVMH last week, Gucci owner Kering fell even after its better-than-expected sales and upbeat comments about Chinese demand. Investors questioned whether the results were as solid in China as its rivals and Citigroup analysts said the numbers might not be enough to please demanding market expectations. The shares were down 3.3 percent. Thyssenkrupp shares fell 2.6 percent after its mixed report. The German steel-to-elevator maker stood by its 2018/19 targets, but warned the global economic environment is darkening after reporting a big drop in first-quarter results.